EasyFund is a secure online service that offers legal professionals the ability to safely manage the transfer of real estate closing funds, effectively reducing the need for certified cheques, bank drafts, direct deposits and couriers. It allows legal professionals to manage the payouts of a transaction quickly and easily without leaving the office. 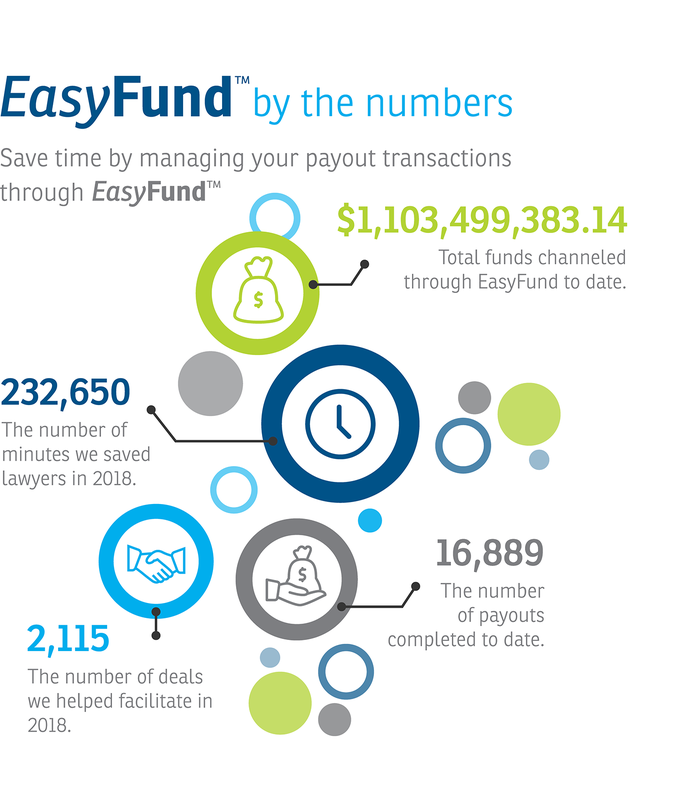 Why use EasyFund? We’ll let the numbers tell you!